Myjoyonline.com – For the thousands of Christians who thronged the Accra Sports Stadium for the Crossover service, and the millions who monitored on radio, live streaming, 2016 will be a remarkable year of influence if they put their shoulder to the wheel. That is the declaration from Pastor Mensa Otabil, the head pastor and General Overseer of the International Central Gospel Church at his annual crossover watch night service. 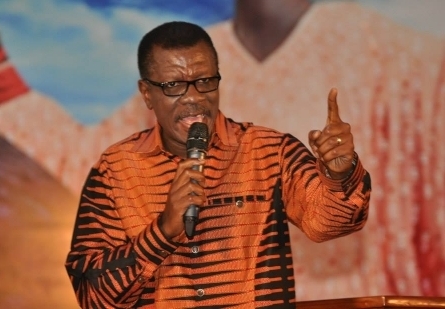 Voted the most influential man for the year 2015, Pastor Otabil conferred same on members of his congregation and tens of thousands of others who sought the face of God for direction to end an old year and to begin a new one. “The year 2016 will be your best year yet; everybody, no matter how long you have lived on the planet, God is about to cause you to grow in influence,” he said. Describing how impactful members of his congregation will be in the year of influence, the man of God, in his unmistakable white apparel likened influence to a sweet smelling fragrance, saying the aroma of the saints shall be sweet in the year 2016. “In 2016 the Lord will make you like wind and he will move you into the directions you have never dreamt of. “In 2016 the Lord will make you like fragrance and your aroma shall be sweet. “In 2016 you shall be moving water and God will cause to move things that have stood in your way out of your way. “His influence will change the cause of your life and not only will he influence you, you will be an influential person on this earth,” he declared. But the power of influence will not come upon the lazy Christian. 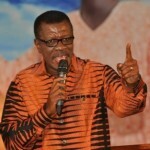 Pastor Otabil, a teacher, an extraordinary preacher and motivational speaker was quick to refer to Biblical Moses and the Israelites and their journey from Egypt, the land of slavery to the promise land, charging the faithful to observe five principles under which God will move in the affairs of his people in the year 2016. “In 2016 when you find yourself in a battle remember this story,” he said, challenging Christians to remember the word at all times and believe that the Lord who has kept them alive will send forth an angel to fight their battles and provide a pillar of cloud to block any enemy attack. With 2016 being a leap year, Pastor Otabil said God will cause faithful Christians to take giant leaps in every chosen paths of their lives. It was a night of awesome praise and worship from the mass choir as well as the symphony orchestra who lighted the atmosphere with some of the greatest and most recent gospel tracks.